West Surrey Racing will be looking to reignite its title defence during the month of June with recent history suggesting it could be a fruitful period for the multiple champions. Fighting for Constructors honours in 2015, the Surrey squad flew out of the blocks with pole position at Brands Hatch for series returnee Andy Priaulx. His stablemate Rob Collard won the season opener – the only race of the year when all cars run on base weight – and Priaulx bounced back from a tricky curtain raiser to claim second in race two. Collard and his young team-mate Sam Tordoff also scored podiums at Thruxton last time out so it can hardly be considered a negative start to the campaign, but with Honda and Team BMR regular visitors to the rostrum and MG showing strong consistency, it’s clear that the trio of BMW 125i M Sports will need to show well at its favoured circuits. 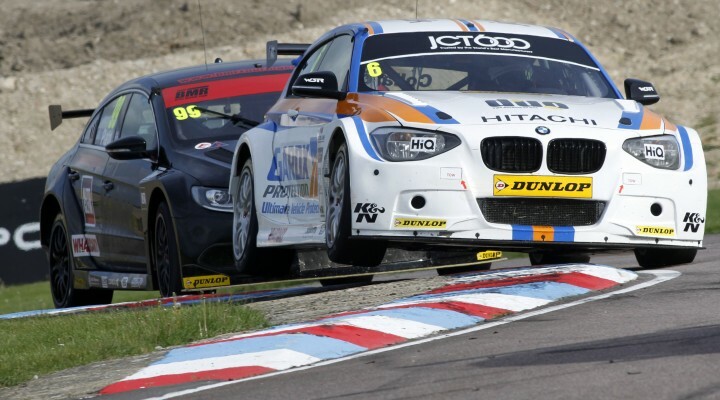 The stats suggest Collard is correct as Colin Turkington claimed two victories at Oulton Park in 2014 and the former WSR man has taken four wins from the last six races at Croft. So now that the Northern Irishman has moved to pastures new it will be down to WSR’s 2015 trio to pick up the baton in Cheshire and Yorkshire respectively. Priaulx hasn’t raced at Oulton Park since his first stint as a BTCC driver more than a decade ago, but he has extremely fond memories of the venue having taken pole position there on his series debut back in 2001. Collard, Tordoff and Priaulx sit eighth, ninth and eleventh respectively in the current driver standings but with the points being so close throughout the order there is every chance they could be back in contention come the mid-season break.